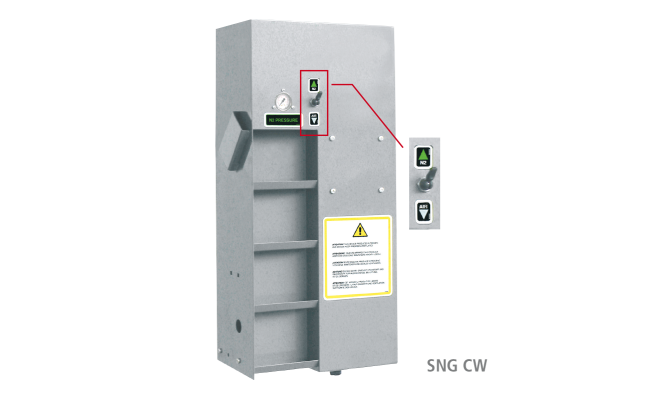 The nitrogen generator SNG requires only compressed air for functioning. It produces a nitrogen-enriched mixture at low costs and it allows the amortization of the device in a short time (while the cost of nitrogen cylinders is high). • improvement of tyre performance, while keeping tyre pressure unchanged in time, resulting therefore in a reduced consumption of tread and fuel. Nitrogen generator for car and truck tyres. The ideal generator for the tyre specialist: the innovative design combines small dimensions with a large production capacity. 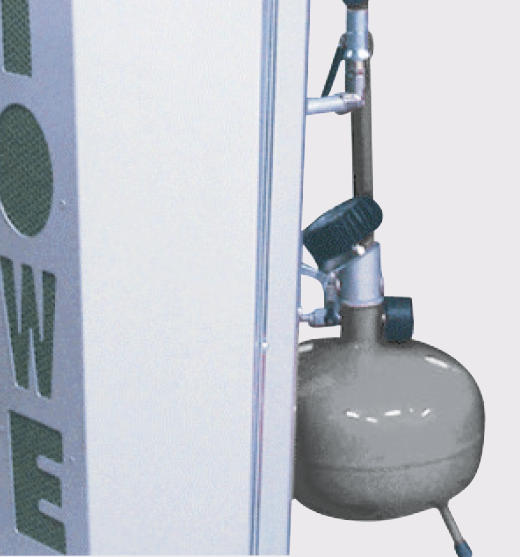 Heavy duty nitrogen generator for car and truck tyres (20-24.000 l / h). In the SNG THD the production capacity is double. Capacity: 15 – 20 wheels/hour. 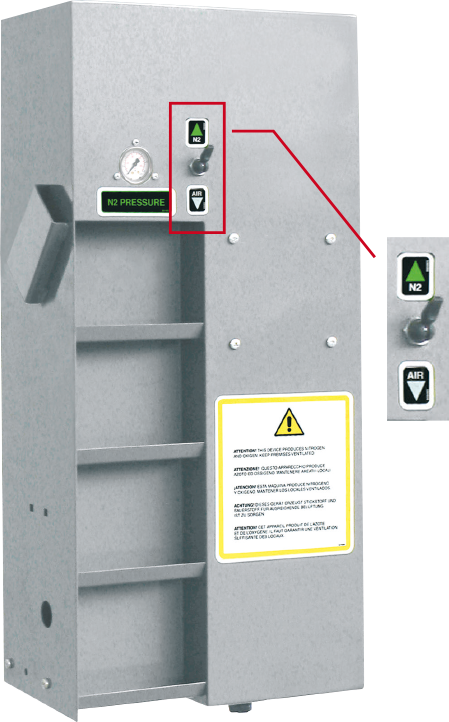 It can be mounted either vertically or horizontally simply by rotating the external pre-filters. 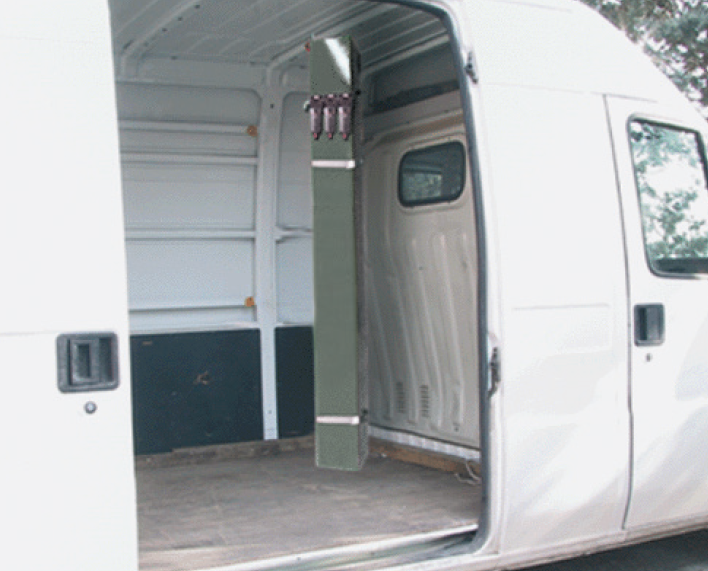 Compact size ideal for use on a vehicle, such as in a van for on-the-road service. If a combined use of SNG TM is required (workshop + van), the convenient rapid mounting kit SNG A4 is available: this consists of a set of brackets that allow the device to be easily mounted and removed from its operating position.